Method ~~ Mix the apples and sugar together and let stand for 15 minutes. ~~ Beat the egg and stir in oil, vanilla, and milk. ~~ Sift the dry ingredients together and add to the egg mixture. ~~ Stir in apple and sugar mixture. Add the nuts. The mixture will be tick. 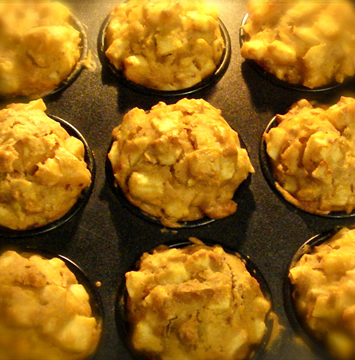 ~~ Spoon into muffin tins lined with cupcake paper. Bake at 350 ∘ for 20-25 minutes. Method ~~ Brush each rice paper sheet on both sides with some water and spread out on damp tea towels. Cover with more damp towels and leave until softened. ~~ Heat the veg oil in a pan, add garlic and fry for 1 minute. Add the pork mince and prawns and stir for 3-4 minutes, or until they change color. ~~ Stir in the sauces and sesame seeds and simmer for 4-5 minutes then put carrot and beans sprout. 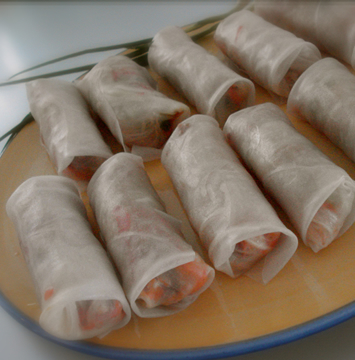 ~~ Place a lettuce leaf on a rice paper sheet, top with the pork and prawn mixture, carrot, mint and nuts, fold in the sides and roll up. Repeat with the remaining rice paper sheets and ingredients. Method ~~ Cover the bread with cold water in 5 second, then squeeze out the liquid. Mix with the mince, coriander, five-spice powder, ginger, egg white and 1/4 teaspoon each of salt and pepper. ~~ Roll 1/2 tablespoons of the mixture into balls and lay in the lined tin. Divide the bean sprouts among bowls. 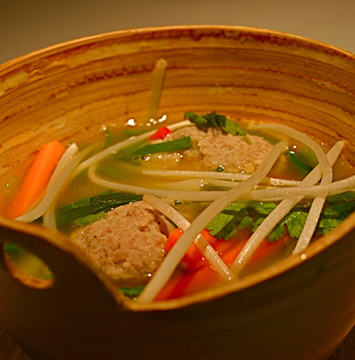 Mix the sesame oil and stock in a large saucepan, bring to the boil and add the pork balls in batches. Return to the boil and, when they float, divide among the bowls. ~~ Add the chilli, carrot, celery and spring onion to the stock, bring to the boil and simmer for 1 minute. Remove from the heat, season to taste and add the lime juice. Ladle into bowls and top with a few coriander leaves. Method ~~ Place 1.5 litres water and the dashi powder in a large saucepan. Bring to boil and add the ginger, spring onion and bok choy. Reduce the heat and simmer, covered, for 5 mins, or until the bok choy has wilted. Stir in the soy sauce, remove from the heat and keep warm. ~~ Meanwhile, cook the noodles in a saucepan of boiling water for 1 min. or until just tender. Drain and keep warm. ~~ Heat the oil in a large frying pan, add the salmon fillets and cook for 1.5 mins. each side, or until cooked to your liking. (The salmon is best still rare in the middle.) Divide the noodles among six serving bowls. Add the bok choy and spoon on the broth. Top with the salmon fillets and serve with lime wedges. Method ~~ Peel and devein shrimp; set aside. ~~ Combine mayonnaise and next 3 ingredients in a bowl; stir well with a wire whisk, and set aside. ~~ Coat a wok or large nonstick skillet with cooking spray; add oil, and heat at medium-high (375 ∘ ) until hot. Add gingerroot and garlic; stir-fry 1 min. 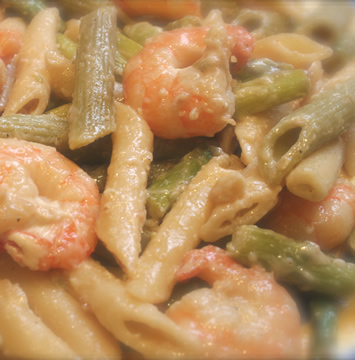 ~~ Add shrimp and asparagus; stir-fry 3 mins or until shrimp turn pink. Add mayonnaise mixture and pasta; cook until heated. Sprinkle with lemon-pepper seasoning. Method ~~ Trim fat from steak. Slice steak diagonally across grain into thin strips. Combine steak, cumin, and next 5 ingredients in a heavy-duty, zip-top plastic bag; shake well to coat. ~~ Heat tortillas according to package directions; set aside, and keep warm. Heat oil in a wok or large nonstick skillet at medium-high (375 ∘ ) until hot. Add steak, onion, and peppers; stir-fry 6 mins or until steak is done, remove from heat. 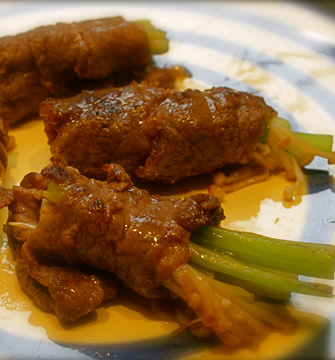 ~~ Spread out beef slices and wrap pre-cooked celery. Roll into cylinders. (Illust*). ~~ Heat 1 T. oil in wok or skillet and fry beef rolls until golden brown (Illust. #). Add # and simmer until liquid is reduced. Remove and serve. ~~ Pour 2.5 c. water into outer layer of rice-cooker; place marinated chicken in container and steam until tender (aprox. 1 hour). Garnish with # prior to serving. ~~ Other steaming methods may be used, in which case the chicken should be placed on a heat-resistant dish and steamed over high heat until tender (approx. 1 hour). Method ~~ Wash bok choy; discard roots and any wilted leaves (net weight approx. 300g). Plunge into boiling water and cook till slightly done. Drain and remove. Mix with * Place on border of round platter. ~~ Cut chicken breast(s) into thin slices. Wash golden mushrooms and discard roots (net weight approx. 20g); cut in half. ~~ Heat wok add 1 T. oil; stir-fry shredded ginger until fragrant. Add shredded chicken into wok and stir-fry until done. Remove and set aside. ~~ Re-heat wok and stir-fry golden mushrooms together with # until done. Immediately add pre-cooked chicken and mix rapidly. Remove and place in center of platter. 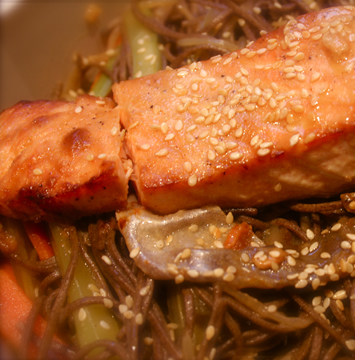 ~~ *Sesame oil may be added according to preference. 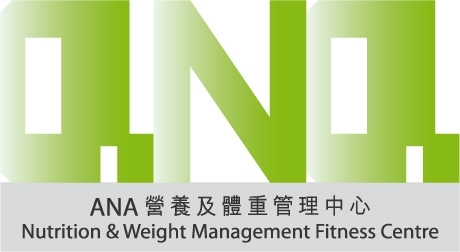 However, in order to minimize fat consumption, no more than 1/2 t. should be used. ~~ * Calculation of measurements are used in table based on the E.P. method. Method ~~ Wash bitter gourd(s), cut off ends (Illust. *) and slice at 3 cm. intervals. Remove seeds (net weight approx. 350g). Cook in boiling water for 3 minutes. Remove and drain. 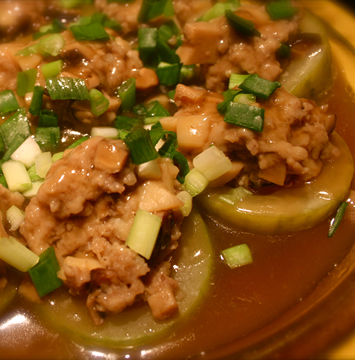 ~~ Season ground pork with * and mix thoroughly. Divide into 6 portions; stuff into hollows of bitter gourds (Illust. #). Arrange on dish, add # and steam over high heat for 45 minutes. When done, pour out liquid into sauce pan and bring to a boil. Stir in + to thicken; pour on stuffed bitter gourds and serve. 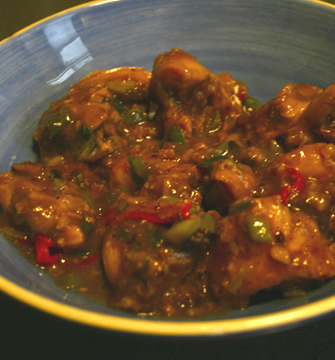 Method ~~ Place the chicken on a plate; rub with one-third of the garlic. Refrigerate, covered, at least 1 hour. ~~ Preheat the oven to 400F. 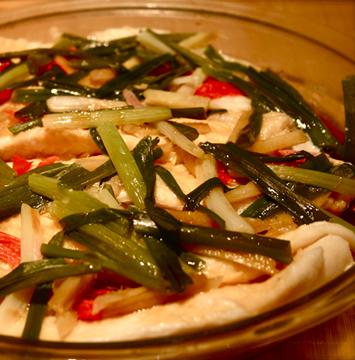 To prepare the dressing, in a 2-quart casserole, combine the bell peppers, onion, the remaining garlic, and the oil. ~~ Roast 25 minutes; stir in the broth, rosemary, and water. Cover with foil and roast until tender, about 20 minutes longer. Cool slightly, then transfer to a food processor or blender. Add the vinegar and 1/8 teaspoon of the pepper; puree. ~~ Spray a medium nonstick skillet with nonstick spray; heat. Saute the chicken until golden, 4-5 minutes; sprinkle with the salt an the remaining 1/8 teaspoon pepper. Turn the chicken and saute until cooked through, about 4 minutes longer. Transfer to cutting board; let stand 5 minutes. Slice into thin strips on the diagonal. ~~ On a platter, combine the lettuce and arugula; top with the chicken, then drizzle with the dressing. Method ~~ TO make the dressing, in a small bowl, whisk the clam-tomato juice, lemon juice, oil, Worcestershire sauce, salt, and pepper. Refrigerate, covered, until ready to use. ~~ Line a platter with the lettuce; mould the crabmeat in the center. Arrange the shrimp and tomatoes around the crab, then the avocado and oranges around the outside. Pour the dressing over the salad. Serve, sprinkled with the croutons. Method ~~ To prepare the marinade, in a zip-close plastic bag, combine the broth, ginger, soy sauce, Worcestershire sauce, brown sugar, cornstarch, and sesame oil; add the chicken. Seal the bag, squeezing out the air; turn to coat the chicken. Refrigerate, turning bag occasionally, at least 2 hours or overnight. Drain and discard the marinade. 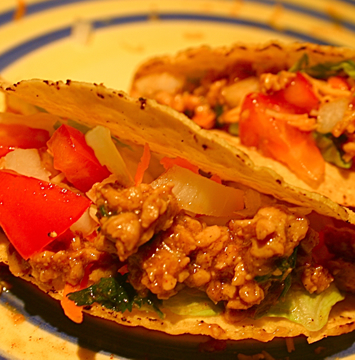 ~~ Heat a large nonstick skillet until very hot; add the sesame seeds and stir-fry until golden, 2-3 minutes. Transfer to a small bowl. ~~ In the same skillet, heat the peanut oil. Stir-fry the scallions, garlic, and red pepper 2 minutes; add the asparagus and stir-fry until tender, 4-5 minutes. Add the chicken and watercress; stir-fry until the chicken is cooked through, 6-8 minutes. Serve, sprinkled with the sesame seeds. Method ~~ Preheat the oven to 350F spray an 8x5-inch loaf pan with nonstick spray. In a small nonstick skillet, heat the oil. Saute the onion until tender, 4-5 minutes. ~~ In a medium bowl, combine the onion, turkey, bread crumbs, milk, egg white, ketchup, cheese, garlic, basil, thyme, an pepper; blend well. Shape into a loaf and transfer to the pan. Bake until browned and cooked through, 50-60 minutes. Let stand 10 minutes, then cut into 8 slices. ~~ In the skillet, melt 1 teaspoon of the butter. Saute the shallot until wilted, about 1 minute. Add the wine; cook, stirring, until it evaporates, about 2 minutes. ~~ Dissolve the tomato paste in the beef broth and stir into the skillet with the remaining teaspoon of green peppercorns. Cook until the liquid is slightly reduced, about 2-3 minutes longer; stir in the remaining teaspoon of butter. ~~ Return the steak and any accumulated juices to the sauce; reheat about 45 seconds. Remove and cut steak into 12 slices. Serve with the sauce.